First, I’m not obsessed with Tom Hiddleston (Avengers, Only Lovers Left Alive), he just makes really good movies. It’s not my fault. Think about it. 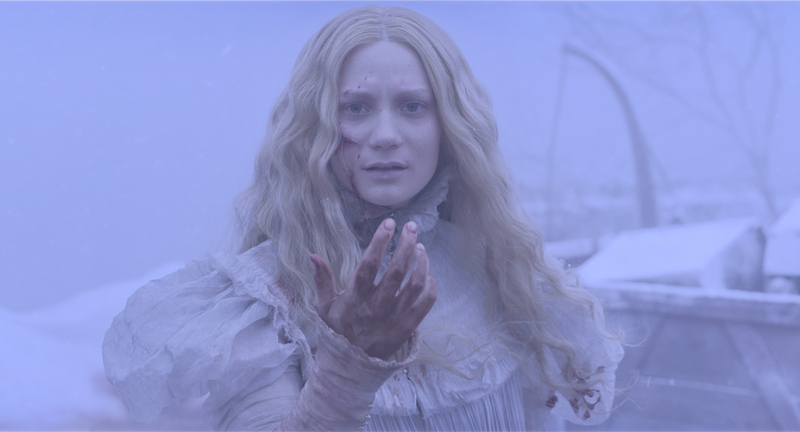 Crimson Peak is the newest movie by Guillermo del Toro, staring Mia Wasikowska (Only Lovers Left Alive, Alice in Wonderland). It’s a reunion between her and Tom Hiddleston. This movie is a throw back to gothic romance novels. 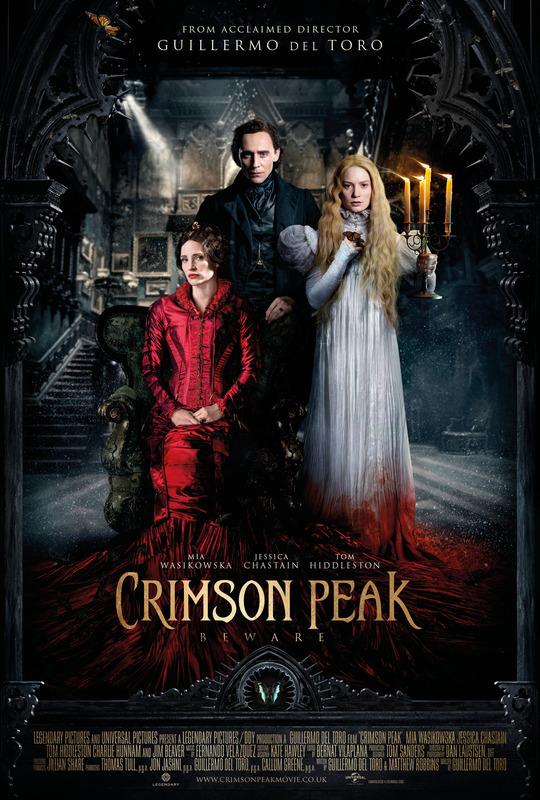 Edith Cushing (Wasikowska), is an aspiring author who meets a dark stranger, Sir Thomas Sharpe (Hiddleston). Edith falls in love with Sir Thomas and weds him only to be swept away to his home in Cumbria. Since Edith’s parents are passed away, her only connection to the outside world is her best friend, Dr. Alan McMichael (Charlie Hunnam). The house is in the middle of no where and is crumbling. Sir Thomas and his sister, Lady Lucile Sharpe (Jessica Chastain), are trying to hid the secrets of the old house. Who can Edith trust when she can’t escape the ghosts of the past? I haven’t been so excited to see a movie since Only Lovers Left Alive or Brahm Stoker’s Dracula! I am a big fan of gothic romance novels. I’ve read all the classics like Moura by Virginia Coffman. I have a huge library of Dorothy Daniels, Virginia Coffman and Victoria Holt books. Maybe some day they will make a Moura movie. EEE! (Insert high pitched noises of excitement.) That would be dreamy. Until then, my Mother and I are planning to go to Crimson Peak together. We’re going to have some Mother/Daughter bonding over dreamy dark haired men. That is the formula you know? Wait you don’t? Gothic Romances all have similar elements. All of the elements are there. One of the most popular and famous of the gothics is Jane Eyre. I adore that one. If you haven’t seen or read any gothic novels, I suggest Jane Eyre. I am a big fan of the movie version with Orson Wells. He is dreamy as the dark haired, mysterious man. Joan Fontaine plays Jane. She’s also famous for being in another well known gothic, Rebecca written by Daphne du Maurier, movie by Alfred Hitchcock. Joan Fontaine is incredible, strong and resourceful in Jane Erye. The movie/book are about an orphan hired to take care of Edward Rochester’s daughter. Watch it, love it, go by Moura by Virginia Coffman. Same plot except during the Napoleonic era. Anyway, Crimson Peak is expected to be atmospheric and terrifying. Stephan King saw an early release and was quoted as saying, “Gorgeous and just f–king terrifying.” If that wasn’t an amazing endorsement, I don’t know what would be.